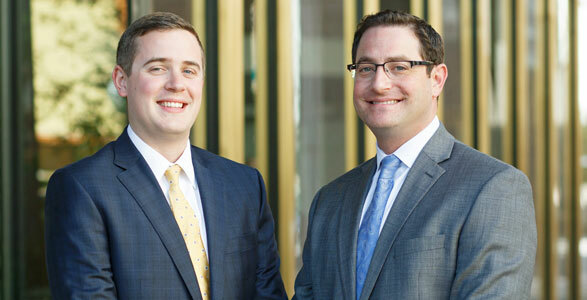 If you have been injured by a dangerous or defective product, the attorneys at Black Wynn have the experience to help. The product that caused your injury may have been made or sold by a company you thought you could trust. But the fact is that dangerous and defective products are sold to and used by the public all the time. At our firm, we believe that those who are responsible for these injuries should be held accountable, and that victims need not bear the burden and the cost alone. Problems with design and manufacturing have been common in the automobile industry for many decades. They include out-of-control gas pedals, anti-lock brake problems, transmission system defects, cracked seatbelt lock mechanisms, overheating cruise control switches, short circuits in ignition switches, and vehicle rollover issues, to name just a few. These defects have causes crashes, fires and other problems, and have led to serious injuries and death. Defects in baby cribs, particularly in drop-side models, have been common over the years. Millions of cribs have been recalled, involving more than half a dozen different brands. The possible dangers to infants from crib defects include suffocation, falls and other injuries. There are a wide variety of medical devices that have been defectively manufactured, defectively designed and defectively marketed. They include pacemakers, artificial hip, knee and other joints, heart valves, stents, breast implants, and others. It is not necessary that a product be highly technical in order to support a product liability claim. It could be as simple as a tea kettle that has an unusually-positioned steam valve, with no warning to the user; an over-the-counter medication tainted by a poisonous substance; sunglasses that do not protect against the effects of UV rays; paint remover that does not contain a warning about how to properly handle and use the product; asbestos; tobacco; or an electric blanket that causes burns. What is the Basis of a Product Liability Lawsuit? A defective design will lead to liability where there is a foreseeable risk that the product would cause harm or injury when the product is manufactured and used as intended. An example is an injury caused by fans with guards that have gaps wide enough to allow your fingers to slip through. The injury was foreseeable, and could have been prevented by an alternative design. You purchase a swing set for your children. One of the chains holding the swing is cracked, the swing breaks, and your child is thrown to the ground. Either the materials or the manufacturing process was defective. The product was properly designed, but the defect in manufacturing nevertheless made it unsafe, and caused an injury. In some cases, even where there is no defect in the design or in the manufacture of a product, liability may be based upon the failure to warn, or to provide appropriate instructions on the use of the product. These are also known as marketing defects. The issue in some of these cases is whether the attendant risk of injury was apparent, or was completely unpredictable. A product liability claim may involve any one or more of these defects. Proving a case requires the knowledge, skill and hard work by an experienced Phoenix personal injury attorney. This includes understanding the various theories of liability, including strict liability and comparative fault (negligence). It also requires knowledge of both the state laws in Arizona, and federal laws related to product liability cases. If you are injured by a defective product, damages will generally fall into one of two categories. The first is compensatory damages. These are intended to compensate you for your injuries. They include out of pocket expenses such as doctor and hospital bills, as well as property damage. But compensatory damages also cover lost wages, including future earning capacity, permanent injuries, pain and suffering, and loss of consortium. The second category is punitive damages, which are awarded in some of the more egregious cases. The purpose of punitive damages is to punish the wrongdoer, not to compensate the victim. Anyone who has suffered an injury that was the result of a defective product is familiar with the frustration of dealing with those who are responsible. Companies are interested in their bottom line, not in making you whole or offering reasonable compensation for your injuries. Insurance companies are often involved, and they likewise look to their own bottom line to try to settle as cheaply as possible. Don’t fall for their tactics and accept a quick settlement that will likely be far less than that to which you are entitled. At Black Wynn, we will be able to tell you what your case is really worth, and we will fight to make sure that you receive it. Contact us and speak to a Phoenix products liability attorney about your case. Your initial consultation is free.